Get your Mosin Nagant, Romanian PSL, or Dragunov SVD clone ready for deer duty with these exquisite hunting rounds from Winchester. 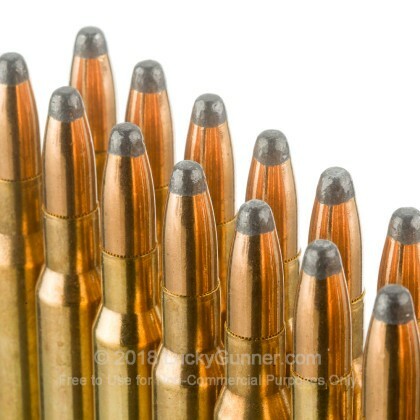 Each of these 7.62x54R rounds is American made and utilizes modern components including reloadable brass casings, non-corrosive Boxer primers, and soft-point projectiles. 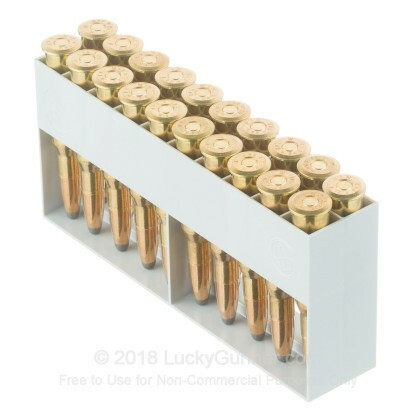 Unlike surplus, bi-metal jacketed ammunition, these commercial rounds have a gilding metal jacket that is more likely to be accepted at indoor ranges for target practice. This translates to great shooter confidence and a more trustworthy zero that contribute to a successful whitetail or hog hunt. 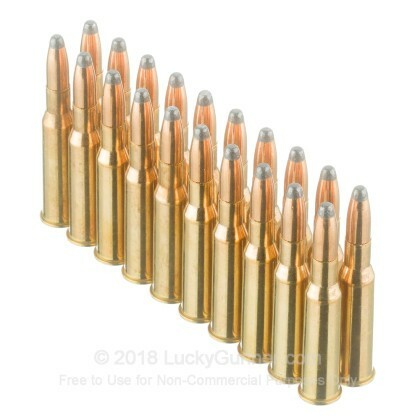 The soft point projectile loaded into these 7.62x54mm rounds weighs in at 180 grains and shares flight characteristics with the very familiar military "spam can" ammo. Each bullet possesses toothed cannelure that locks its copper jacket to its lead core and sustains its crimp position for unspoiled accuracy. The front portion of the projectile comprises an exposed lead tip that has been tapered for aerodynamics as well as compatibility with fixed magazines. 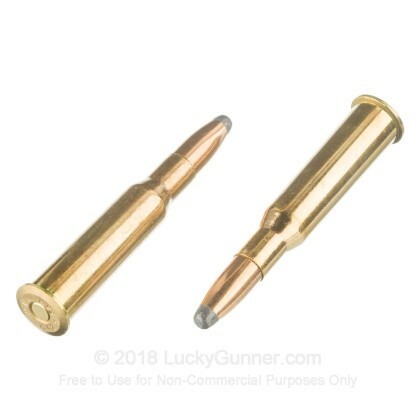 Upon impact, this tip will initiate expansion that creates a larger bleeding wound while also slowing the bullet and delivering momentum to vital organs for a clean, humane drop. Winchester ammunition has been trusted for well over a century to help defend borders, protect homesteads, and set dinner tables. Their products are derived from classic designs as well as new innovations which use professional feedback to evolve and meet the needs of U.S. shooters. 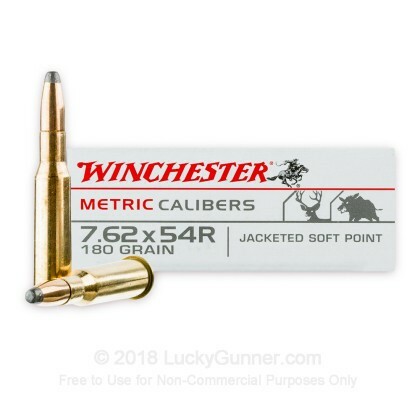 We don't have any reviews yet for this particular 7.62x54r ammo from Winchester. 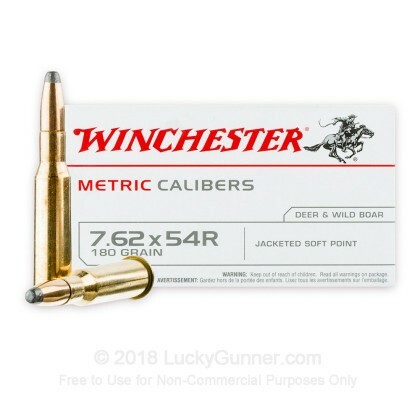 If you'd like to be the first to review this particular 7.62x54r ammo from Winchester, fill out the form below.